you have to choice one option means each service you have to pay 1$. we provide best qualities sound cloud service and its help you to increase your popularity in music. 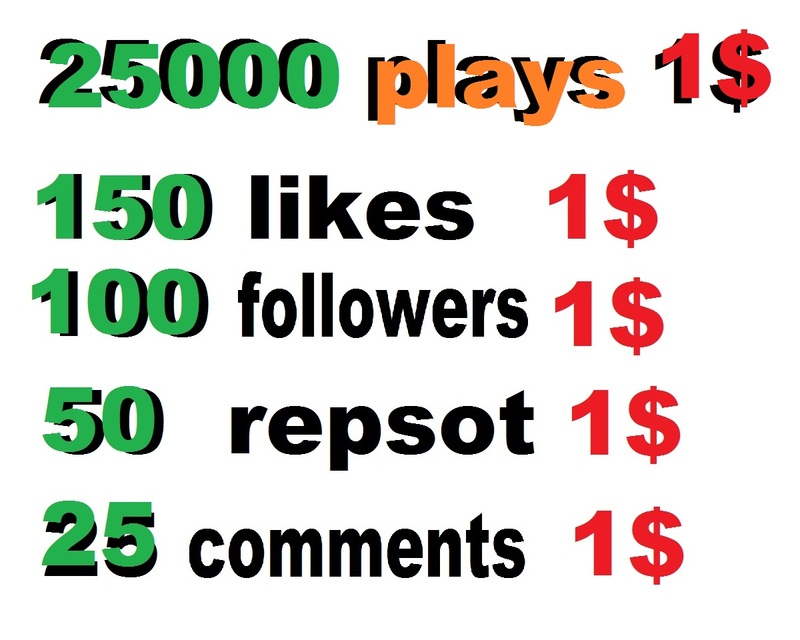 25000 USA plays or 150 likes or 50 repost or 100 followers or 25 comments is ranked 5 out of 5. Based on 194 user reviews.